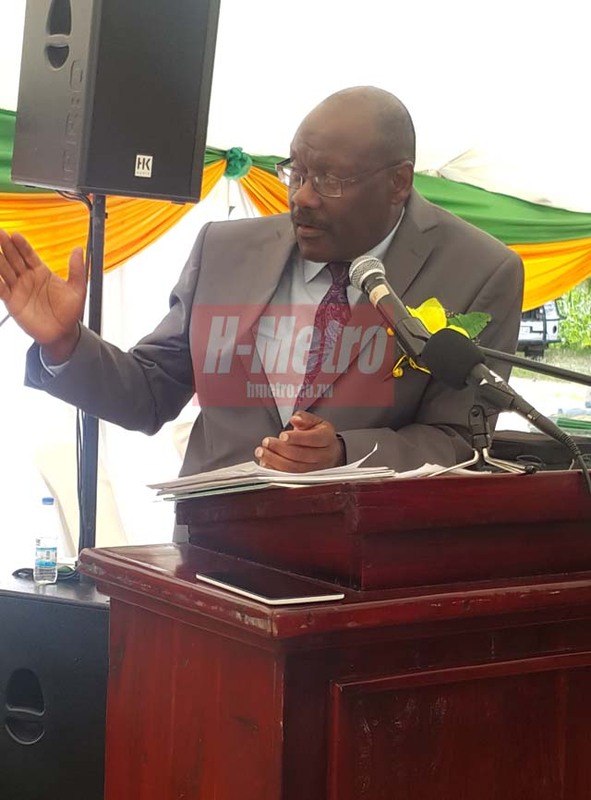 MINISTER of Health and Child Care Dr David Parirenyatwa has called on local authorities to join hands in the fight against cholera. Dr Parirenyatwa said the burden should not be left on the shoulders of his ministry since it is emanating from elsewhere. “My message to the City of Harare is that they need to up their game and deliver good services. Taste your water and make sure it is colourless and odourless. “There is rampant vending, especially illegal vending in undesignated places, including selling of meat and fruits in pavements. “There is poor waste management: bins with garbage everywhere and sewage oozing everywhere in Matapi Flats there in Mbare,” he said. Min Parirenyatwa indicated that these problems are not peculiar to Harare but common in many towns. He, therefore, urged the public to drink safe water. “The City Council promised to provide safe water but due to rotten water pipes (aging water pipes), treated water seeps bacteria along the way, the public is, therefore, encouraged to boil their water. “Harare is not safe; I can get reports at any time that something is wrong. I keep my fingers crossed,” he emphasised.